Strawberry Chic: Can I sit at the kids table please? Can I sit at the kids table please? 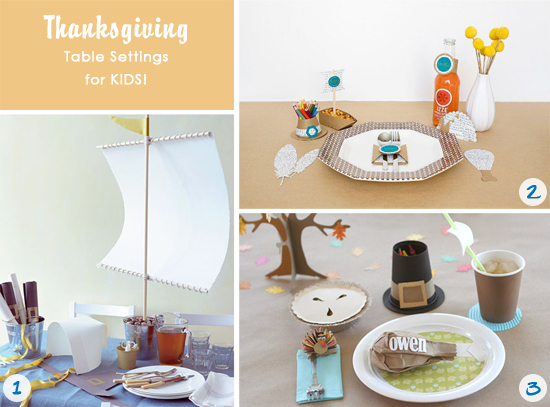 I've been looking for some great Thanksgiving table decor inspiration and I came across some fantastic options. But, I stumbled upon a few children's table settings and decided if I had my way I'd definitely choose to sit at the kids table! These ideas are just too fun! These tables do look fun! I like the bright colors of #2 but I think #3 is my favorite - so creative! ohhhhh so cute!! I love # 3!!! I'd love to be seated at any of these tables :-) The turkey leg place card is adorable!